Members may sponsor guests by purchasing a daily guest pass. Sponsored guests must be accompanied by the sponsoring member in order to use the facility. Alumni and former students are eligible to self-sponsor, but are unable to sponsor other non-member guests. A building waiver will need to be signed; verification of guest information and a picture will be taken. 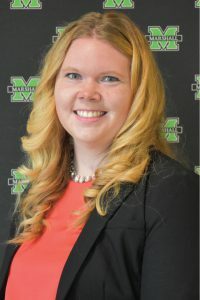 Sponsoring of guests may be restricted, at the discretion of Marshall Recreation Center staff, to prevent facility overcrowding during busy times. Members are responsible for their guests’ conduct and any damage to or loss of property that may result in their guests’ actions. Disciplinary action may result in the loss of guest or members privileges. A parent/guardian must accompany minors at all times. Minors will not be allowed into the facility without supervision. Guest Passes are non-refundable and are valid for daily use only.